The Jimmy Moffatt-trained Highland Lodge (9g Flemensfirth-Supreme Von Pres, by Presenting) showed off his Grand National credentials when winning the G3 Becher Handicap Chase over the big fences at Aintree on Saturday. The Flemensfirth gelding, bred my Margaret Treacy and bought for just £22,000 at Doncaster sales a month earlier by Moffatt, relished the famous obstacles. He took up the running at the ninth of the 21 fences and saw off a host of challengers to win the £140,000 contest by three-quarters of a length from Irish raider Dare To Endeavour under Henry Brooke. "Highland Lodge is a lovely big gentleman of a horse with a serious engine and this is my best success in terms of prize money,” said Cumbrian-based Moffatt. "£22,000 was a lot of money for me and my owners to spend. We cannot afford to buy promising young horses and instead try to purchase ones who have shown a bit of ability and try and rejuvenate them. "I was disappointed when I started working the horse a month ago but a fortnight later he started to perform better and his most recent bit of work was promising. We hoped that, if he could get his own way, he would run well which he did. It is brilliant to have another big-race success at Aintree. 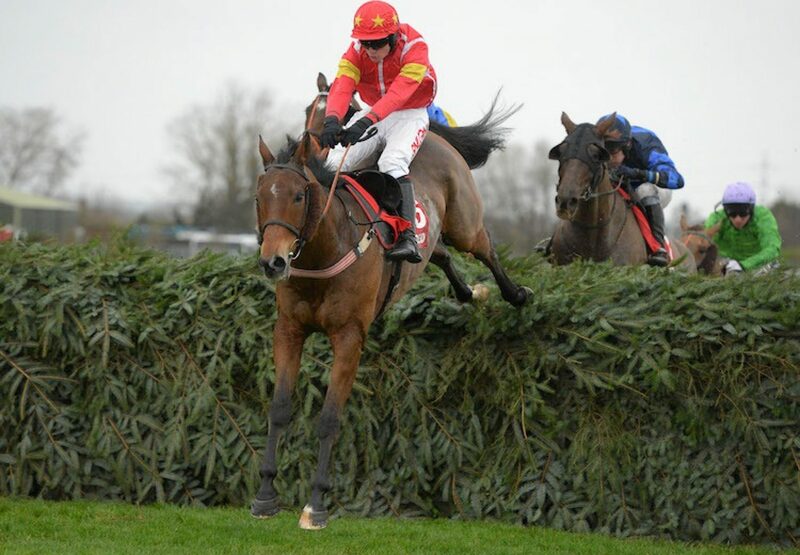 "We will aim Highland Lodge at the Crabbie's Grand National. He might sneak in at the bottom of the weights and we'll try to keep him sweet between now and then. If he jumps as well as he did today, he would have a chance.” Brooke was full of praise for his mount and added: "That was unreal - those fences are some buzz. Jimmy has done all the hard work, my job was just to keep hold of the horse's head. Highland Lodge did all the jumping himself. "I actually did think that I had a right chance today, with 10 stone on (soft) ground like that. It suited him down to the ground. He half took hold of the bit down to two fences out. I thought 'he has some engine on him' and he just kept galloping."